Our founder, Andrew Ashby, is a native of Madisonville, KY. After graduating from the U.S. Naval Academy with a Bachelor's degree in International Relations, he was commissioned as an officer in the U.S. Navy. As a surface warfare officer (SWO), he served aboard USS De Wert (FFG 45), USS Carney (DDG 64), and Officer Training Command Newport, Rhode Island. ​Andrew's enduring interest in real estate was sparked when he purchased his first property in Jacksonville, FL, in 2008. 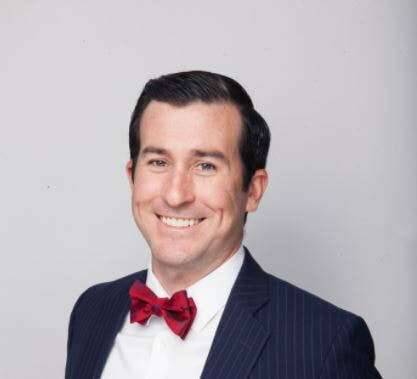 Upon honorable discharge from the U.S. Navy in 2013, Andrew entered Corporate America and continued to build upon his real estate interest and knowledge. That eventually led Andrew to form Ashby Property Group and put us on a mission to provide high quality rental housing in the hearts of thriving metro areas like Chattanooga TN, Jacksonville FL, and Central Florida. Ashby Property Group is actively managed by our Chief Operations Officer (COO) and principal partner, Katie Ashby. Ashby Property Group LLC is a family and veteran owned business.